The Meadowood is a good pattern for beginner lace knitters. 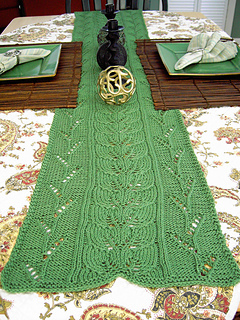 It features two easy lace patterns and may be made up as long or as short as you wish. It would also make a great dresser scarf or you could make it shorter as an antimacassar to embellish the back of your favorite chair.